Granite Basin Recreation Area is the perfect hike for those who wish for an adventure beyond hiking. The public can camp, bike, fish, have a picnic and go horseback riding. 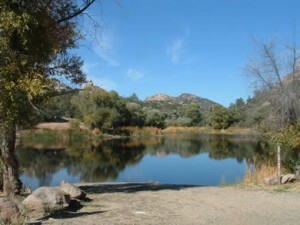 Trails of the recreation include Balancing Rock Trail, Cayuse Loop, Clark Spring Trail, Hokaygon Trail, Metate Trailhead, Mint Wash Connector Trail, Surprise Spring Trail and West Lake Trail. Posted on July 30, 2014 by League Staff in The Great AZ Road Trip | Tags: Arizona, Granite Basin, hiking, hiking trails, road trip, summer, Verde Valley | permalink.